Iran's Supreme Leader claims the United States and Israel spent months preparing the anti-government demonstrations in the country. Iran's Supreme Leader Ayatollah Ali Khamenei on Tuesday claimed that the United States and Israel had incited the anti-government demonstrations in his country, AFP reported. Khamenei praised what he described as a "massive movement of the people against the plots of the enemies", a reference to the pro-government rallies that have been held across the country since late December, according to Iranian state media. 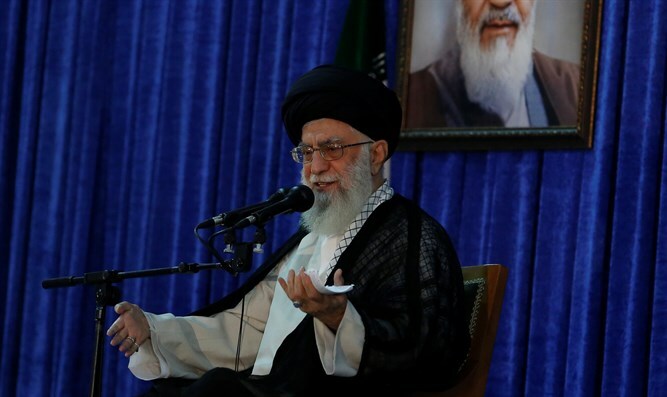 Such a "popular mobilization against the enemy's plots targeting the regime... doesn't exist anywhere (else) in the world," Khamenei said in a speech broadcast by Iranian media. He accused the United States and "the Zionists" (Israel) of spending months preparing demonstrations in small towns in the hope that they would spread to the capital. Monafeghin ("hypocrites" in Persian) is a label Iranian authorities use for the People's Mujahedeen of Iran, an outlawed opposition group. The anti-government protests had used the slogan "no to high living costs", which "pleases everyone", he said. "But the people, who were not very many, quickly dissociated themselves (from the movement) when they realized the real objectives" of the instigators, claimed Khamenei. The Supreme Leader said there was a distinction between "the just demands of the people and the wild and destructive actions of this group". He added protests for rights had nothing to do with "burning the Koran, insulting Islam, insulting the flag and burning mosques". Khamenei often verbally attacks the U.S., to which he refers as the “Great Satan”, and backs the chants of “Death to America” which are often heard during protests in Iran. He also verbally attacks Israel, having in the past referring to Israel as a “cancer” and threatening to "annihilate" the cities of Tel Aviv and Haifa. Khamenei is not alone in accusing the U.S. and Israel of being behind the recent protests. Iran's UN Ambassador, Gholamali Khoshroo, last week accused the United States of meddling in his country’s domestic affairs.